What is a Picking Slip? A Picking Slip is used in a warehouse to pick ordered Items. The Picking Slip contains important information about the product(s) such as the quantity, location and stock levels. 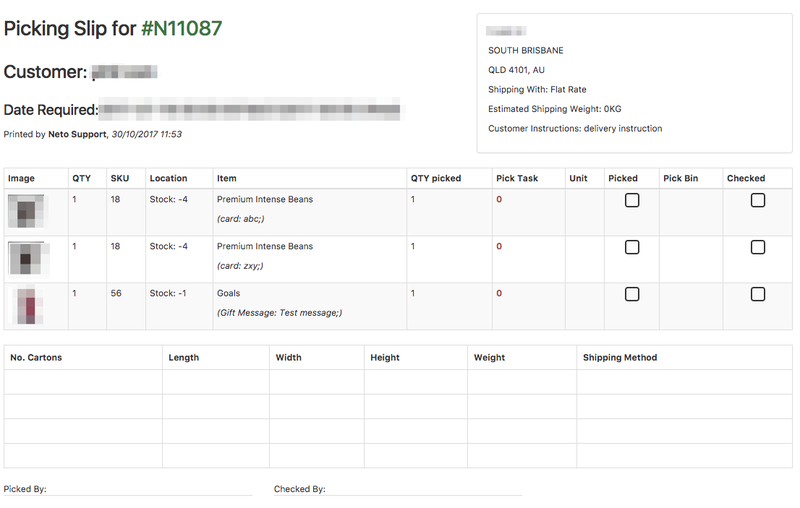 Navigate to Sales Orders > View Orders. Select the orders you wish to print, by checking the boxes next to each one. At the bottom of the page click Print and choose Pick Slip. All Picking Slips are stored here on the file server: /private/www/netosuite/SysDoc/printdocs/order/pickslip.